The new 2019 Kicks models that will arriving soon at Nissan South of Morrow feature a brand new crossover design that’s big on attitude. 2019 Nissan Kicks demand attention wherever in Morrow, Georgia you happen to be traveling with their dynamic styling, personalized technology and nimble crossover SUV performance. Exactly what you need to both rule the city and the open road, the new 2019 Nissan Kicks is creating a buzz in Morrow and throughout the state of Georgia. New 2019 Nissan Kicks are all about you, the driver. It starts with enough color options to satisfy any personality, then gets even better when you factor in the available sound system that puts Morrow, Georgia drivers on center stage. You can style your 2019 Nissan Kicks any way that you want to. We’re always telling our customers not to hold back, and with Kicks numerous distinctive color options and the option of a striking two-tone roof, they certainly won’t have to. Make it bold, make it loud and make it yours, then start cruising the streets of Morrow, Georgia in stunning crossover SUV style. With a unique “floating” roof design, wraparound visor look and bold V-motion grille, the all-new 2019 Nissan Kicks is like nothing else you’ll find on the Morrow, Georgia roads. Add in the available LED headlights with their distinct signature line, and the dramatic effect produced by these innovative crossover models is complete. Thanks to Kicks Nissan Intelligent Mobility, owners are empowered with tomorrow’s technology so that they can take on today. This innovative tech allows you to make every move with greater awareness, and can get a little help at the times when you need it most. When you and all of your friends have the night off, your new 2019 Nissan Kicks can help you make the most of it. From their spacious crossover SUV interior that maximizes room with a flat floor design, to the high degree of craftsmanship that’s apparent in every design element, Nissan Kicks provides you and all of your passengers with the perfect excuse to stay out a little bit later. 60/40-split rear seats ensure that your 2019 Kicks will be open to almost any activity you can think of, whether it’s a day at the beach with your crew or a weekend family escape. With that kind of flexibility, Nissan Kicks is up for anything that’s on the agenda. The all-new 2019 Kicks models that will be arriving soon at Nissan South of Morrow can make the fast lane even more fun with their deliberate and dynamic performance. Performance and efficiency can certainly go hand in hand, and these all-new 2019 Nissan Kicks crossover SUV models are driving proof of it. Even with an abundance of get-up-and-go, the combination of their advanced engine and lightweight design means Nissan Kicks gets the absolute most out of every drop of fuel. Both efficient and exciting, Nissan Kicks is set to show everyone in Morrow, Georgia an entirely new type of crossover SUV. 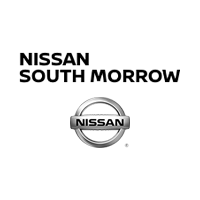 Nissan South in Morrow assists customers from Atlanta, Morrow, Riverdale, Jonesboro, Lake City, Forest Park, and all of the surrounding communities, helping them learn more about the new 2019 Kicks models that will be arriving soon. We take pride in the professional level of customer service that our dealership is known for providing, and we do our absolute best to make sure each person that walks through our doors leaves satisfied. If you’re wanting to learn more about the 2019 Nissan Kicks, come by 6889 Jonesboro Rd. in Morrow, Georgia and let one of our friendly salespeople go over all of the exciting features available on these new crossover SUV models.